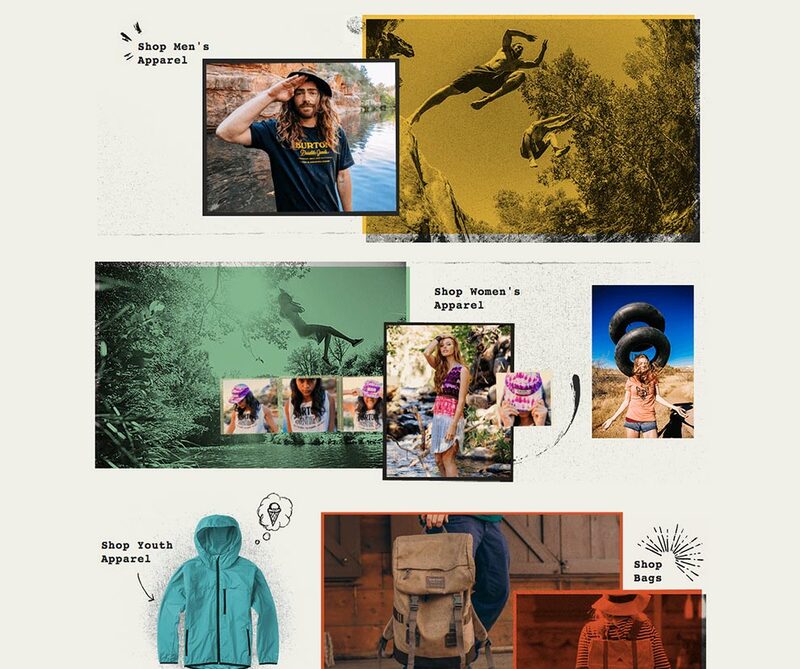 With each year that passes comes a new look and style for the Burton website. The 2015 refresh proved to be one of my favorites with updated homepage, product detail pages, shop landing pages, and the addition of 13 Things. Below is a collection of some of my favorite pages between the Fall Winter and Spring Summer seasons. 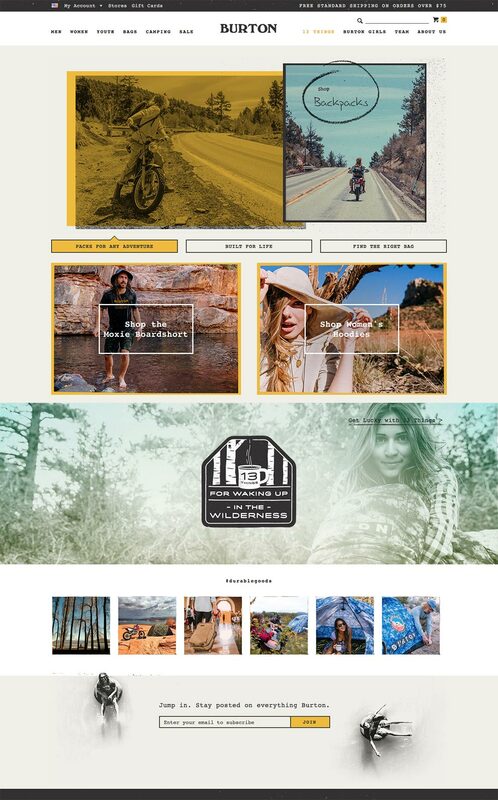 The 2015 Burton website was created in collaboration with Julie Toth - Sr. Designer, Daniel Munzing - Supporting Designer, Dan Harrill - Lead Print Designer, David Pfluger - Art Director and Evan Rose - Creative Director. Lead image above was taken by Dean Blotto Gray - Principal Photographer.